Hart Integrated Solutions has been delivering maritime risk management services for over 15 years. We are delighted to support this industry showcase with our partners. Hart’s mission is to provide a safe and secure environment that protects clients’ personnel, assets and reputation, enabling them to focus on their core business. Founded by Lord Westbury in 1999, Hart is now part of a dynamic group of seven companies employing 8000 people in 40 countries worldwide. They are intimately linked by shared core values and responsible ethics. 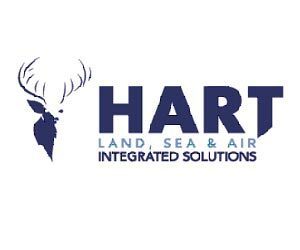 Hart works in the fields of electrical engineering and infrastructure, security, specialist human resources, accommodation units, consultancy and aviation services. The companies are committed to training and empowering the communities they work within. Hart Group comprises Hart Integrated Solutions, Symbion Power, CTG Global, Erinys Iraq, Longport Aviation Security, Enigma Alliance and Napcap.